Visiting the Homes of Our Founding Fathers ~ Learn, Live, and Explore! I admit I take it for granted that I live in a city with such easy access to historical and cultural places to visit. 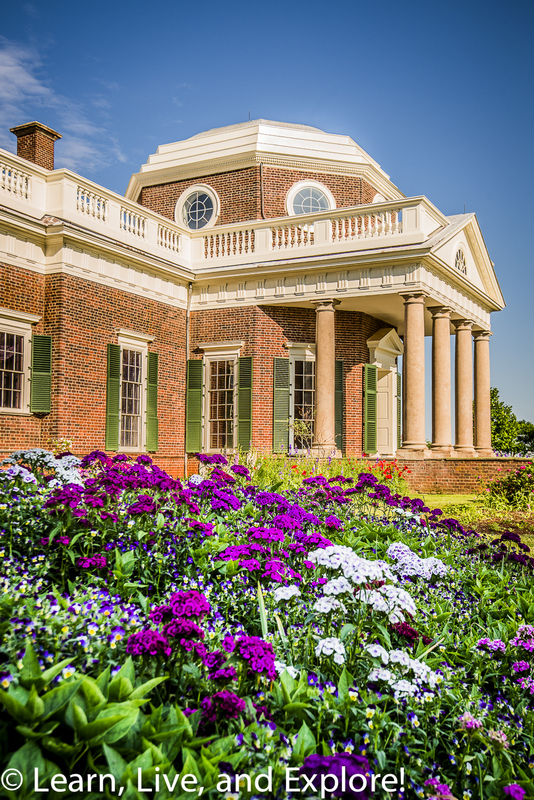 By that, I mean I sometimes allow a large gap, several years, to exist between visits to important places like the Smithsonian Institute museums on the National Mall or the historic estates of the founding fathers of the United States. 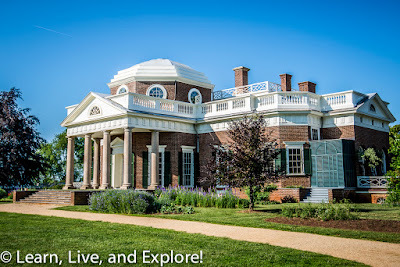 It has been probably over 10 years since I last toured the grounds of Monticello, Ash-Lawn Highland, and Gunston Hall. I had never been to Montpelier. And, despite being just 10 miles down the road, I have visited Mount Vernon only a handful of times since living in Washington D.C. So, to make things right, I made it a point to visit all of these remaining homes of local founding fathers this past year. 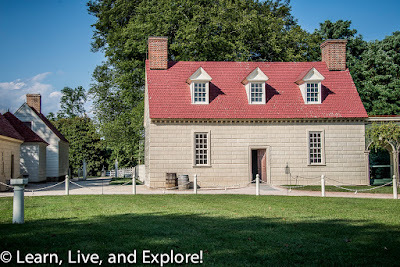 Last year, I bought an annual pass to Mount Vernon, so I can actually say I've visited three times in the past 12 months, hence the differences in the photos. My dog even visited Mount Vernon this past year! In the two photos above, you may notice that the color of the exterior paint has changed from the white that we all grew to know and love. Apparently, the light beige is more historically accurate. 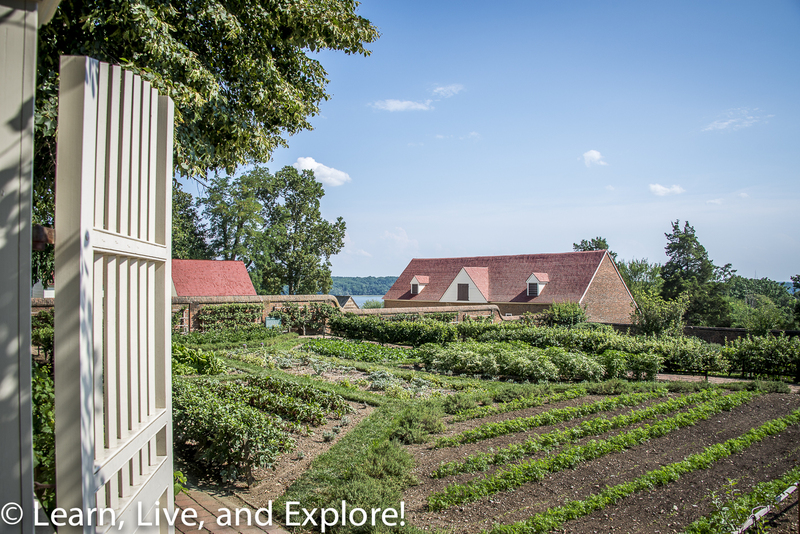 There are many ways to see Mount Vernon. 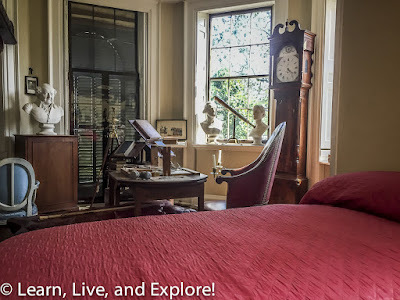 You can choose the standard admission which allows you access to the first and second floors of the house with docents providing room-based commentary, all of the outbuildings, and the grounds. 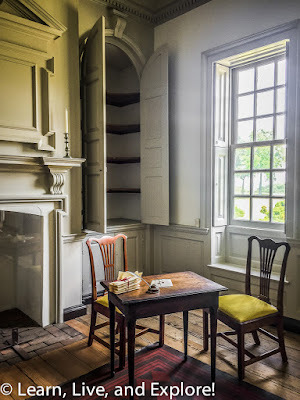 My favorite room in the house is George Washington's study. Make sure the docent stationed in that room tells you about every object, including the fan chair and the chest that Washington used throughout the Revolutionary War. 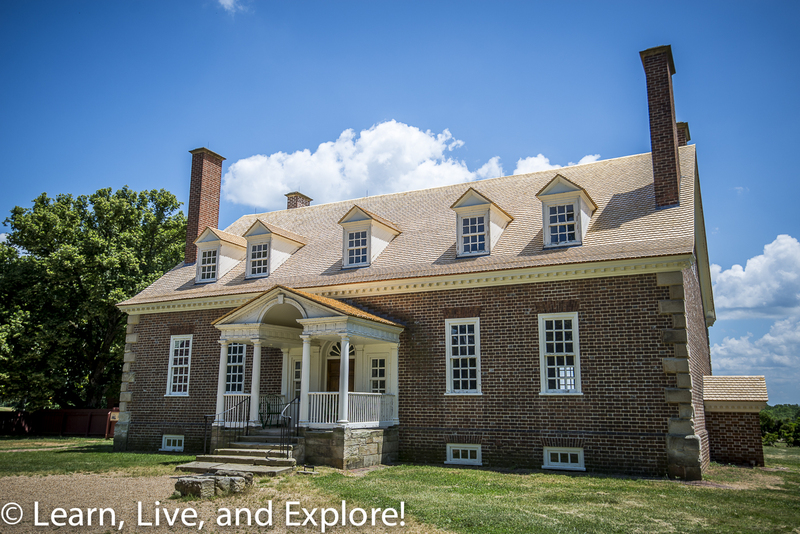 The tour I have still not done is the National Treasure tour which provides access to the basement of the main house. 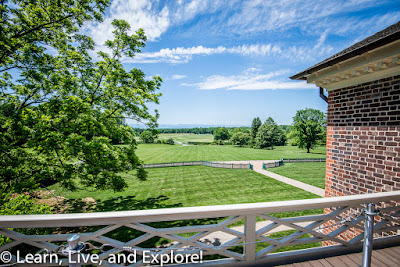 And, to make the home tour complete, you will have to come in November and December for Christmas at Mount Vernon, when the third floor is open for visitors. 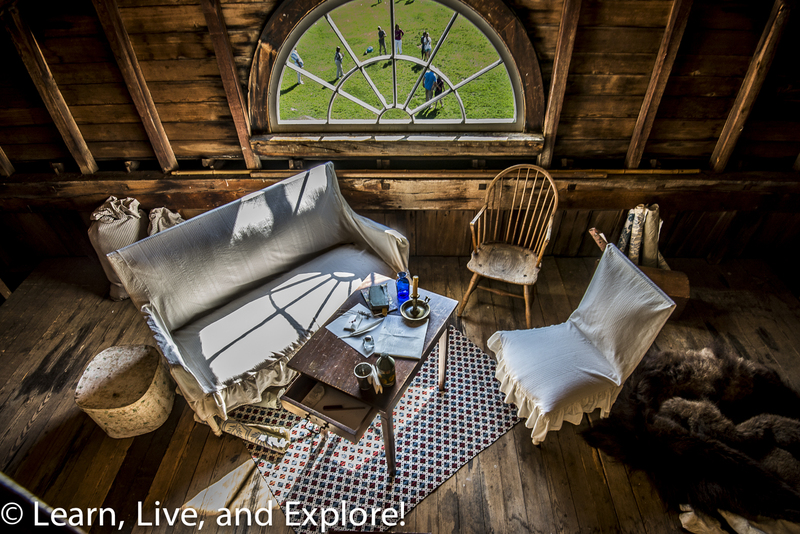 While wandering the grounds, make sure to go all the way down the hill to the 16 sided barn on the pioneer farm. Finally, to round out your visit to "GW's crib," hop back in your car for a 3 mile drive to the Gristmill and Distillery. Did you know that on a few of the estate's trees, troops from the Civil War that camped on the grounds of the estate carved out the symbols of their regiments? 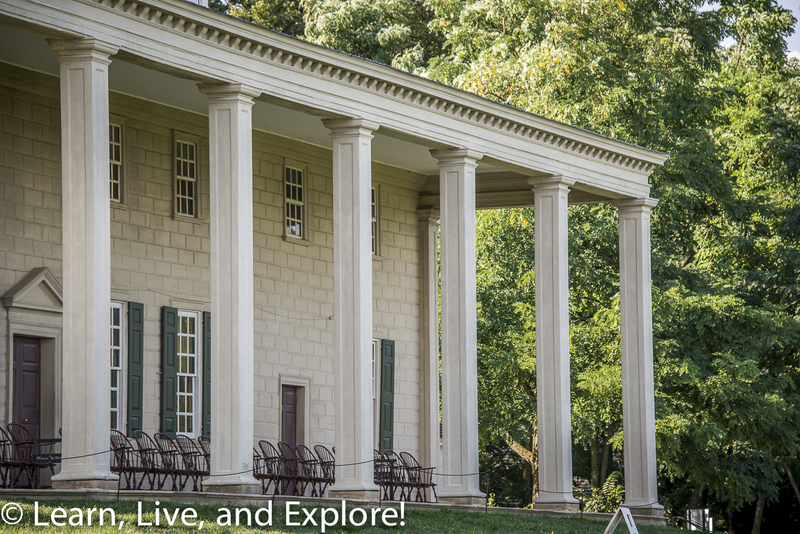 Get ready for the most interesting of the founding father homes! 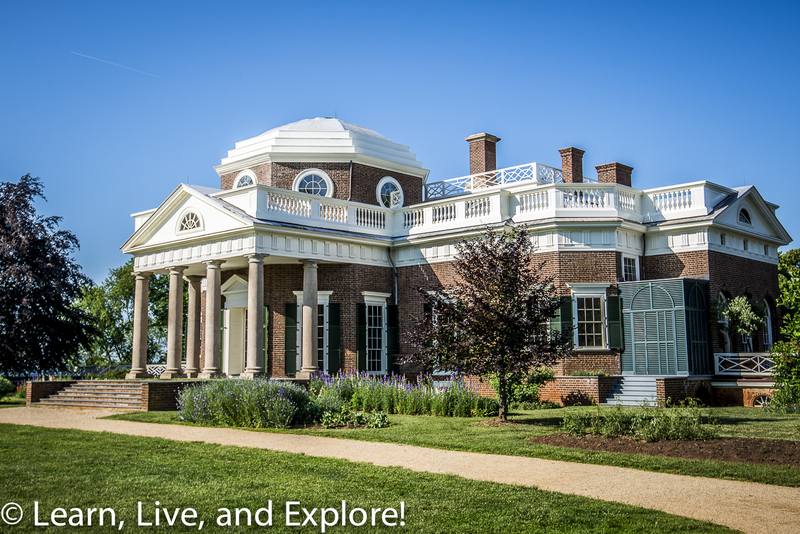 But first, before I start boring you with details, consider purchasing the Monticello Neighborhood Pass that gets you discounted admission to Monticello and Ash-Lawn Highland (as well as Michie Tavern). 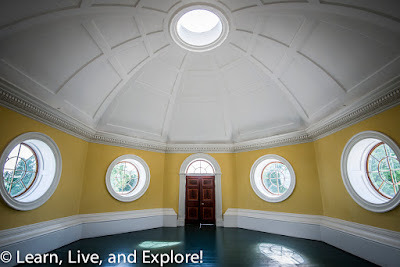 That being said, if you want to take the tour I did, which was a special unrestricted tour of the house that gives you access to the upper floors including the octagonal room, then that pass may not help. 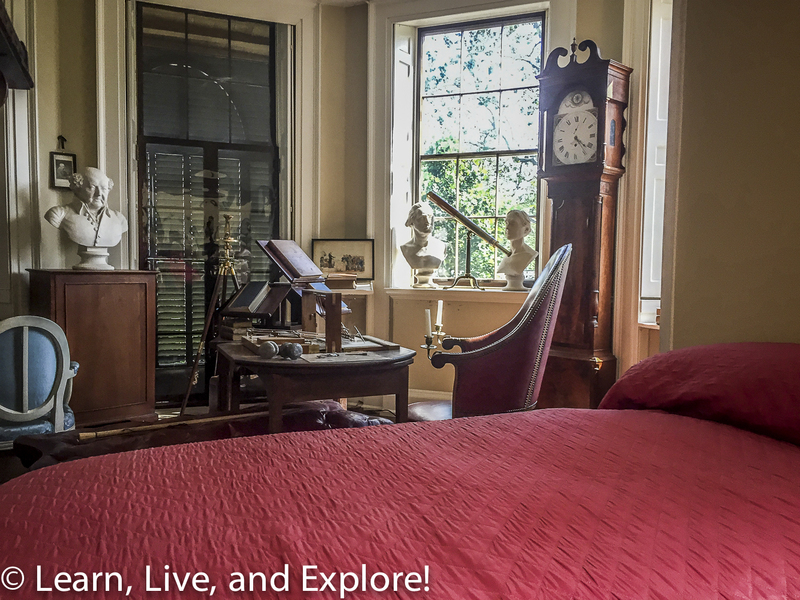 This Behind the Scenes tour is $55, or $30 more than the regular admission. However, think about it this way, when are you ever going to come back to Charlottesville? 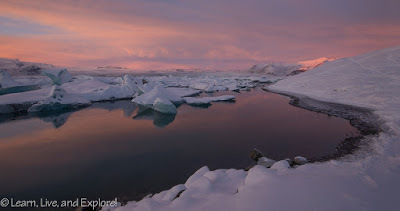 $30 is a lot cheaper than a tank of gas or a plane ticket! 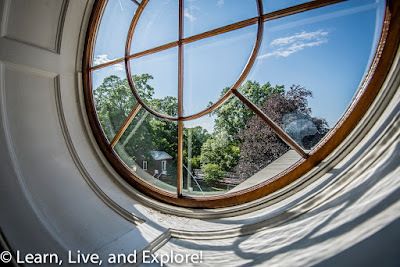 The Behind the Scenes tour first takes you through the main floor, with the open reception area for guests, Jefferson's library, Jefferson's office/bedroom with sun porch, and other rooms for practical and entertainment purposes. 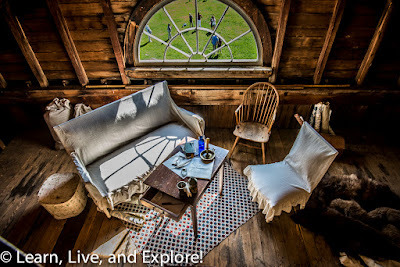 This floor is a feast for your brain because everywhere you turn there is some nuance about the layout or "modern" contraption that was well thought out to make the house and life function more efficiently. 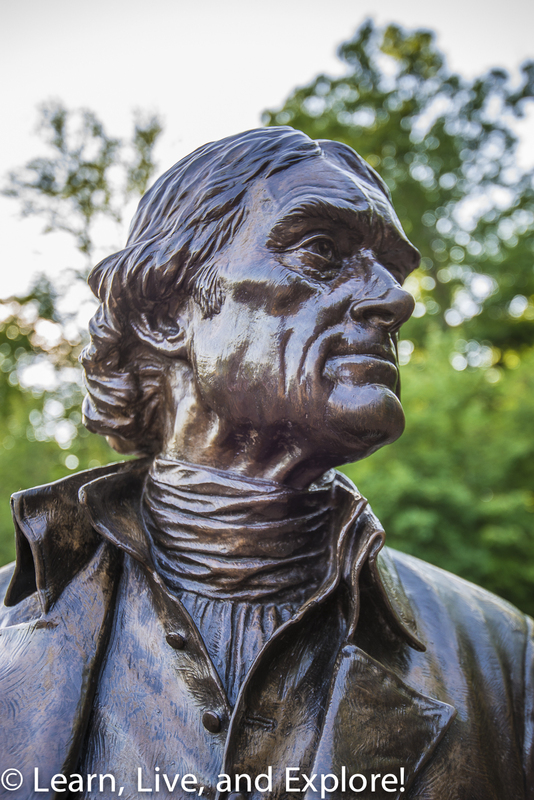 Jefferson was a collector of inventive ideas, like a duplication machine. After you have toured the main floor, you go up the narrow spiral staircase to the rooms of other family members. Additional steep stair climbing is necessary to get to the children's room and the dome on the third floor, where you will find an unexpected surprise - a ladder that takes you down into a small, unfinished play/reading/storage room. Finally, the tour ends in the basement where you see the weights of the seven day Great Clock located in the reception room, the weights that required a hole to be drilled in the corners of the entry room to accommodate the length of the chain needed to track all seven days/168 hours before resetting. 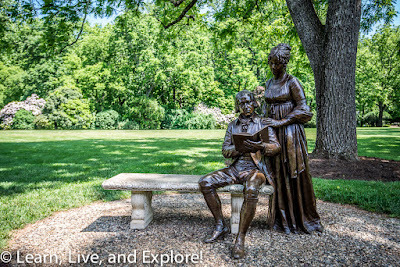 Jefferson remained at Monticello until his death on July 4, 1826 - coincidentally the same date his good friend, John Adams, passed away just a few hours later in his Massachusetts home. Jefferson's Blue Ridge Mountains retreat, called Poplar Forest, is a miniature Monticello located in Forest, Virginia near Lynchburg. 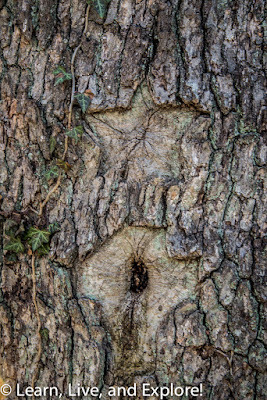 The design mimics the octagonal shape that makes his Charlottesville residence so distinguishable. 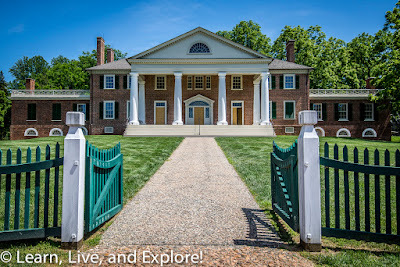 This was my first trip to Montpelier, the home of James and Dolley Madison - Secretary of State under Jefferson, the 4th President of the United States, and the recognized "founder" of the Constitution, which was based on the Virginia Declaration of Rights from 1776. 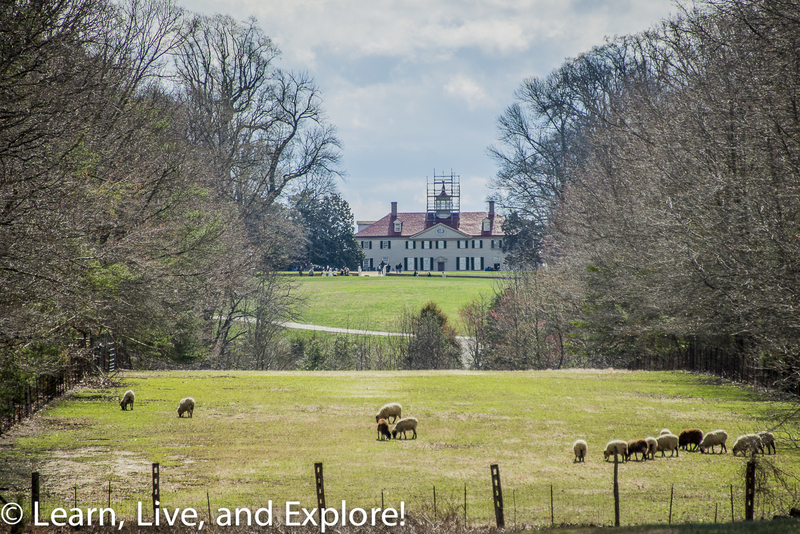 The land had been occupied by the Madison family since 1723, but the main home was not built until the 1760s, after which many additions were made to create what we can see today. Actually, until you tour the estate, you may not know that the each of the wings were the domains of the Madison women - Madison's widowed mother and Dolley. They kept separate households, including separate meals, based on their preferences for decor and food. 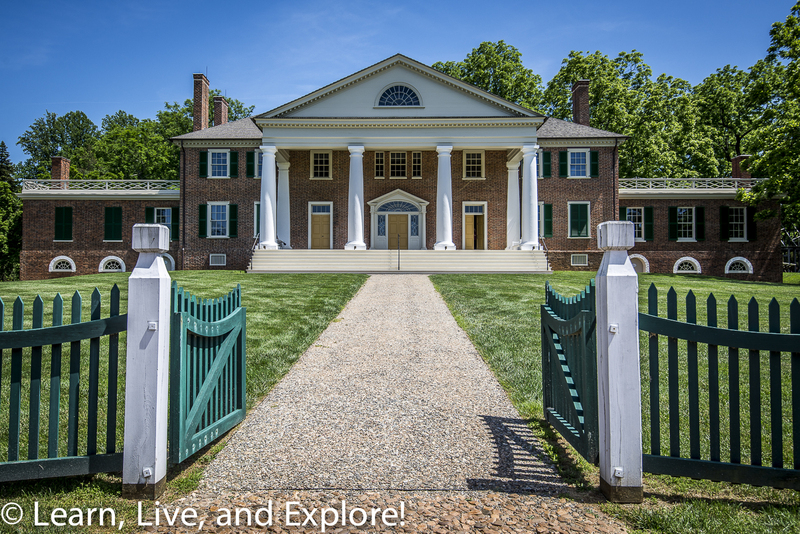 Madison lived at Montpelier until his death in 1836, and Dolley Madison sold the property in 1844. 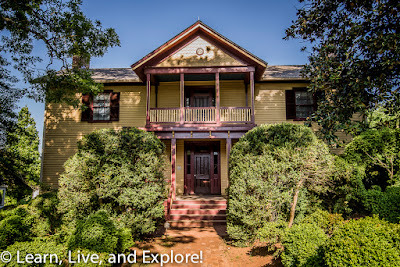 In the photo above, you can see the faint outline of a small roof that once was over the right yellow door, when the home was smaller and that was the center point of the front facade. 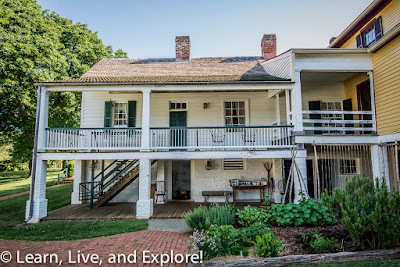 I realized after my visit that the reason why I had never been to Montpelier in the past as a kid was because it was under a sizeable renovation after it had suffered major alterations while under ownership of the duPont family from 1901-1984. 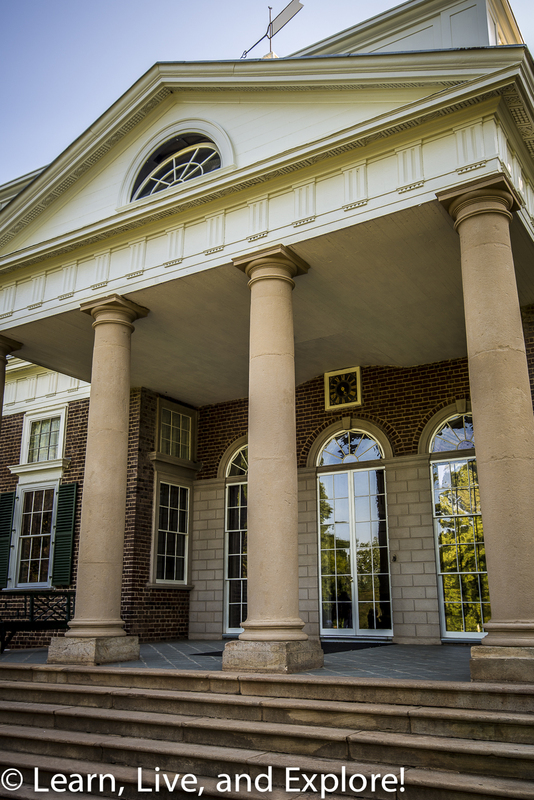 The home was stripped down to what it was like when Dolley sold it and it reopened to the public in 2008. 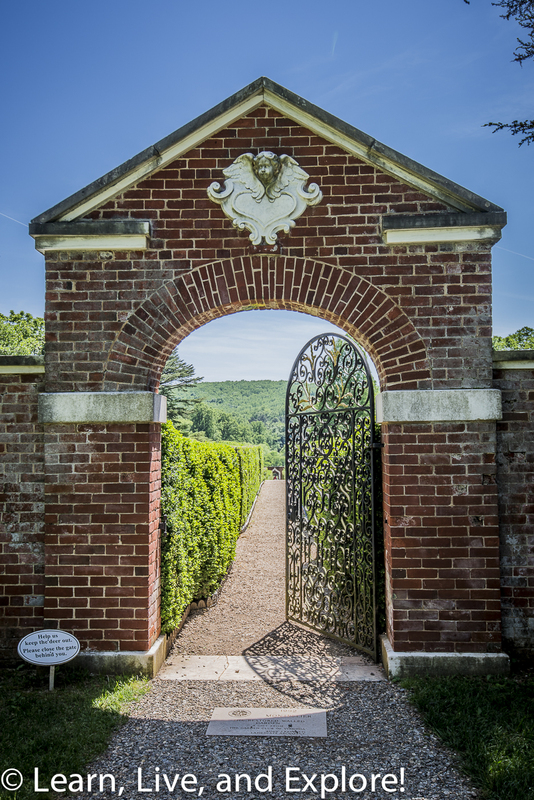 Archeological digs continue today to unearth additional historical evidence of buildings and life on the estate. 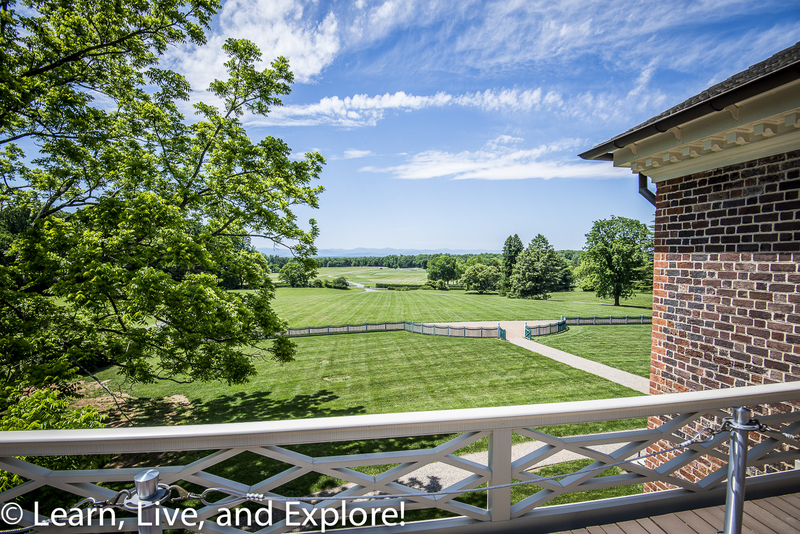 Ash Lawn-Highland is the small property once owned by the Monroes that sits downhill from Jefferson's Monticello. 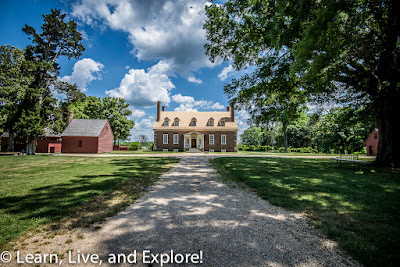 James Monroe, the 5th President of the United States, purchased the property in 1793 and moved there officially in 1799 after his appointment of Minister to France ended. 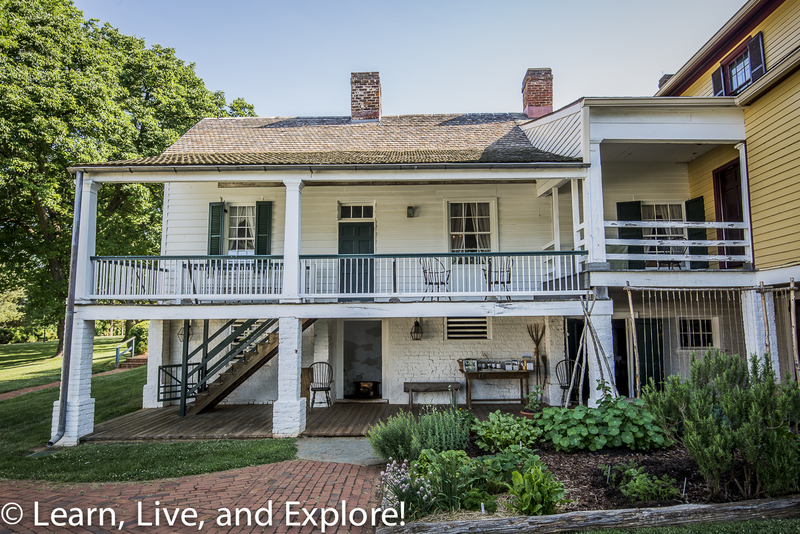 Monroe counted it as one of his residences until he had financial troubles and was forced to sell it in 1826. The small white house is the original Highland residence, which was changed by later owners to Ash Lawn. The yellow addition - a nonconforming Victorian architecture - was built by Parson John Massey in the 1880s. The placement of this addition was on the foundation of an original Monroe wing that was destroyed in a fire in 1840. Monroe's Oak Hill, one of his other properties located outside of Leesburg, Virginia, is a private residence not open to tours. Though he refused to sign the Constitution, George Mason was a Delegate at the 1787 U.S. 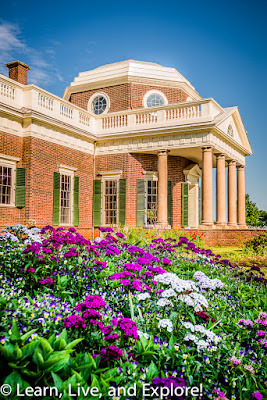 Constitutional Convention, representing Virginia. Mason's refusal to sign was based on the document's lack of detail on state and individual rights, later addressed in the first ten Constitutional Amendments or the Bill of Rights. 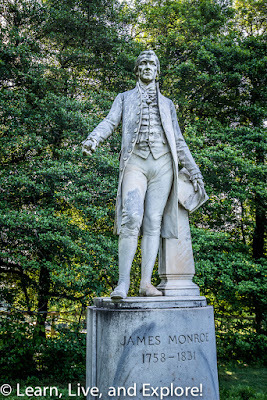 Mason had been the author of the Virginia Declaration of Rights in 1776, from which James Madison pulled to draft the ten amendments. Mason lived at Gunston Hall from the time of its construction over the period of 1755 to 1759 until his death in 1792. 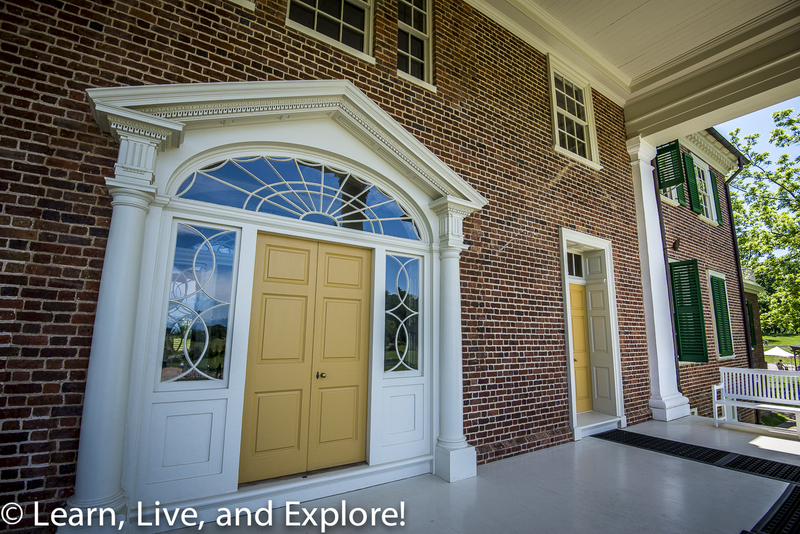 The mansion is most noted for its interior woodwork, crafted by his indentured servant - William Buckland. 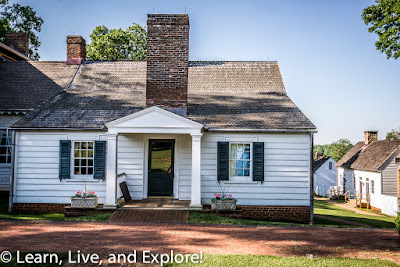 Washington, Jefferson, Madison, Monroe, and Mason...it make have taken me a year to find the time to visit them all, but the five founding fathers' Virginia homes can now officially be checked off the to-do list!